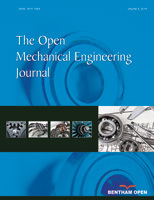 The aim of this article was the development of the gas-dynamic models allowing to calculate the working processes of the gas turbine engine (GTE) in the compressor, in the combustion chamber and in the turbine at the same time. The possibilities of software systems for complex engine workflow modeling are specified. The advantages and disadvantages of the presented methods are specified. The results of complex GTE simulation in a single software product are presented. It is shown that the results of a complex gas dynamic modeling are in a good agreement with the calculation results obtained using a calibrated one-dimensional thermodynamic model.